When I was growing up in my hometown in Butterworth, there was a mobile (bicycle typed push cart) wantan mee hawker who uses a pair of bamboo clapper to attract customers. As the sound goes "tok, tok, tok", which anounces his arrival in our area would always excite us as a kid! I would quickly ask my mom for some money to buy a plate of wantan mee aka Tok Tok Mee; that is what we called it then. My good childhood friend would run back to his grandma's grocery shop and ask her for some money to buy one plate too. Then both of us would sit outside my house and savour our deliciousTok tok mee! Those were the good old days. The tok tok mee sure tasted really good back then and until now I could not find any hawkers that could match the taste. I came across tok tok mee again during my recent trip to Labuan but this is a different version of tok tok me that I knew since my childhood days. The texture of this instant noodle type of tok tok mee is almost the same as wantan mee (noodles) but they cooked it in clear starchy gravy instead of the usual dark soya sauce type like wantan mee. Anyway, maybe during the olden days, this similar vendor uses the Chinese wooden clapper to market his dish. 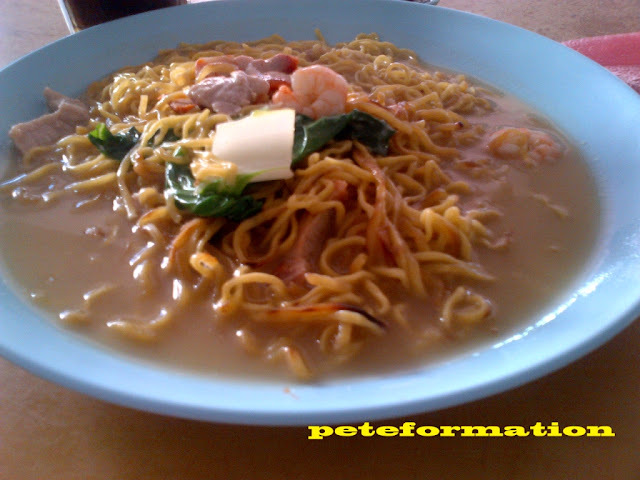 This is how theTok Tok Mee aka Wantan mee looked liked the one I used to eat back in my hometown when I was young! Missed the good old taste of it! Actually the nunchaku are adapted from a pair of Chinese wooden clapper. Peasants use the nunchaku to rebel against oppressive rulers because it doesn't resemble a weapon but looked like pair of wooden clapper so they will not get into trouble when they are caught carrying one! LOL! The one I have below is made from steel! love noodles! The bamboo clapper looks safer than the steel one! 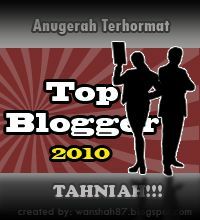 Another tok tok mee post! 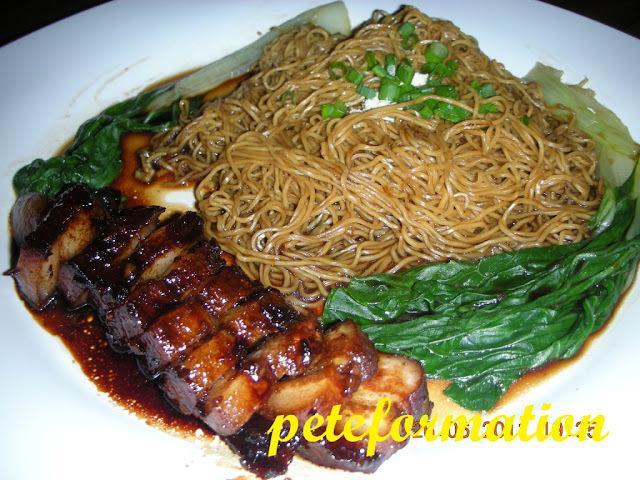 Didn't knw tok tok mee also called wanton mee, but the char siew definitely look great! The wan tan mee looks yummy! Woah!!!! Then you can do Bruce Lee noodles! Pete's version. oh so tok tok noodles is actually wantan noodles, haha!! and it definitely looks great in the second photo!! drool.. I feel all childhood foods taste so nice because of the good memory, nowadays is quite hard to get back the same taste. Anyway , thanks for the good info, now I know they are the same noodles . I prefer it to be a bit drier..
Yeah those were the days of tok tok mee. We used to joke you come to my place I buy you tok tok mee but you pay your own transport. If you watch those ancient movies they 'rap' with those bamboo clappers. I think I used to eat this when I was in Nilai. I like both the tok tok mee that you showed here. the gravy in tok tok mee looks very thick and yummy! unlike wantan mee though..
We have a different version of tok tok mee here. Basically the concept is the same, using bamboo clapper to attract customers. Just that the noodle is tanghoon soup with fishball, yummy!